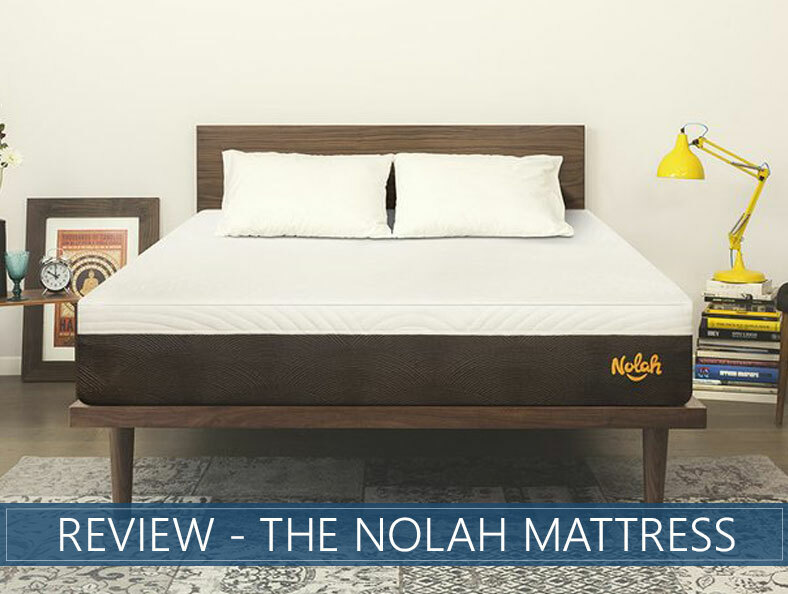 The following Nolah bed review is based on our scoring system that takes into account firmness, support, pressure relief, and value. Keep reading to see our full breakdown of the mattress or check out the summary here. Worry about harmful chemicals. Nolah’s CertiPUR-US® certification guarantees their product meets requirements for certain chemicals and substances that some competitors use in their foams. If you want to consider other options, click here to see our best overall picks and a complete buyer's guide. Under the cover, there are three foam layers that make up the bed’s 10-inch height. 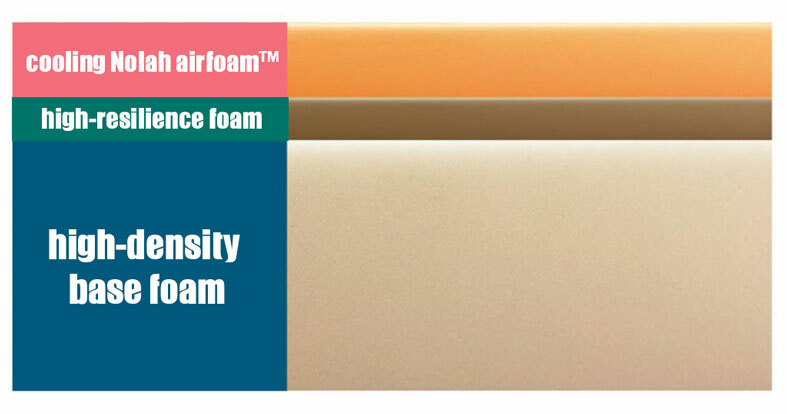 ● The top layer is made of 2-inch proprietary Nolah AirFoam™. Similar beds on the market are made with latex and memory foam, which the company claims are dated materials from the 1920s and 1970s, respectively. Their technological research and innovations led to the creation of the exclusive material, which they say sleeps cooler than memory foam infused with cooling gel. It is designed to be 100% temperature neutral. In addition, the brand says that it is more durable than latex. ● The second layer consists of 1-inch latex-like support foam. This serves as a transition layer from the top to bottom layer. ● The third layer is 7-inch high-density polyurethane base. This sturdy level provides the support and structure of the mattress. Its thickness and density helps to even out the softness of the top two layers. Back and stomach sleepers will typically find the support they need to be comfortable with their alignment. You can learn more about the preferences of a belly sleeper here, and buying considerations and full guide for people who sleep on their back here. While motion transfer is not important to everyone, it can be essential to light sleepers with partners or pets. Nolah performs slightly above average to comparable beds in regards to edge support. While lying down on the edge, the bottom layer of polyurethane offers firm support. You should not roll off the mattress, but stay comfortably in place. This is crucial for individuals who sleep on or near the edge. Trial Period – 120-night trial period. This is slightly longer than the popular 100-night trial of similar brands. If you decide the Nolah is not for you, not only will the company provide a refund, but they will have someone pick it up for free and donate the bed to a local charity or mattress recycling program. 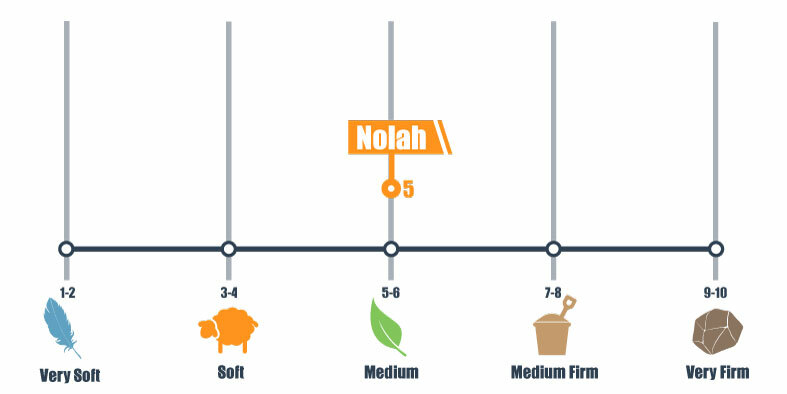 Nolah’s technological innovations have given side sleepers a reason to rejoice and their 120-day warranty has given them little reason not to buy! Side sleepers especially rave about Nolah’s mattress. The pressure relief in heavier areas and temperature neutral top layer create a comfortable night’s sleep. If you are a side sleeper, we highly recommend this mattress. Similar mattresses in stores retail for upwards of $2,800, meaning that you could save thousands of dollars on a quality bed by ordering through the company’s website. The company’s commitment to the environment through helping endangered animals and maintaining CertiPUR-US® certifications has us feeling great about the decision to buy from a company with high standards that gives back to our planet. Can I buy Nolah in the UAE ? Nolah bed is shipped from the US and it will be extremely hard and expensive to ship it to the UAE. We went with Nolah after reading your review. We’re happy we did! It’s softer and cooler than our memory foam mattress that was too hot for my husband and too firm on my shoulders. I’m a side sleeper, and Nolah feels softer and more comfortable and my husband no longer wakes up overheated. Thank you for introducing us to Nolah. 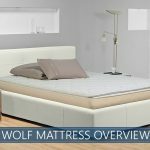 Best mattress for side sleepers! Just wish we’ve read your review earlier. Is this review for the 10” or 12” version of the Nolan? This is for the 10″. The 12″ is referred to as the “Signature” and we have a review on another page. 😉 Enjoy!